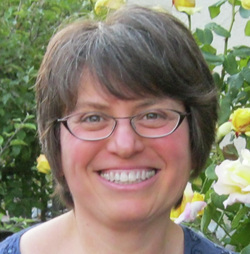 Susan Rubin is nationally recognized, seasoned ethics professional with more than 20 years experience serving as an expert ethics resource providing ethics consultation, innovative ethics education, and support to clinical, operational, research, and leadership professionals in a variety of health care settings. Dr. Rubin received her B.A. in political philosophy and socioeconomic policy problems from James Madison College at Michigan State University and her M.A. and Ph.D., both in philosophy and bioethics, from The Kennedy Institute of Ethics at Georgetown University. Dr. Rubin is an active contributor to the national discourse on bioethics. She is author of the book When Doctors Say No: The Battleground of Medical Futility, co-editor of the book Margin of Error: The Ethics of Mistakes in The Practice of Medicine, and author of numerous articles. As co-chair of the American Society of Bioethics and Humanities (ASBH) Clinical Ethics Task Force, she led a multi-year effort that culminated in the publication of Improving Competence in Clinical Ethics Consultation: An Education Guide. She has testified by invitation at The President's Council on Bioethics, and as an expert witness in health care litigation.